64. וּמִשּׁוּם כָּךְ מִנָּה אוֹתוֹ עַל כָּל אֶרֶץ מִצְרַיִם, מִשּׁוּם שֶׁהַקָּדוֹשׁ בָּרוּךְ הוּא נָתַן לְיוֹסֵף מִשֶּׁלּוֹ. עַל הַפֶּה שֶׁלֹּא נָשַׁק לָעֲבֵרָה, כָּתוּב וְעַל פִּיךָ יִשַּׁק כָּל עַמִּי. הַיָּד שֶׁלֹּא קָרְבָה לָעֲבֵרָה, כָּתוּב וַיִּתֵּן אֹתָהּ עַל יַד יוֹסֵף. הַצַּוָּאר שֶׁלֹּא קָרַב לָעֲבֵרָה, כָּתוּב וַיָּשֶׂם רְבִד הַזָּהָב עַל צַוָּארוֹ. הַגּוּף שֶׁלֹּא קָרַב לָעֲבֵרָה – וַיַּלְבֵּשׁ אֹתוֹ בִּגְדֵי שֵׁשׁ. הָרֶגֶל שֶׁל רָכְבָה לָעֲבֵרָה, כָּתוּב וַיַּרְכֵּב אֹתוֹ בְּמִרְכֶּבֶת הַמִּשְׁנֶה אֲשֶׁר לוֹ. הַמַּחֲשָׁבָה שֶׁלֹּא חָשַׁב – נִקְרָא נָבוֹן וְחָכָם. הַלֵּב שֶׁלֹּא הִרְהֵר – וַיִּקְרְאוּ לְפָנָיו אַבְרֵךְ. וְהַכֹּל מִשֶּׁלּוֹ הוּא נָטַל. 65. מַה כָּתוּב? וַיֵּצֵא יוֹסֵף מִלִּפְנֵי פַרְעֹה וַיַּעֲבֹר בְּכָל אֶרֶץ מִצְרָיִם. אָמַר רַבִּי חִזְקִיָּה, מָה הַטַּעַם וַיַּעֲבֹר בְּכָל אֶרֶץ מִצְרָיִם? כְּדֵי לִשְׁלֹט, שֶׁכָּךְ מַכְרִיזִים לְפָנָיו, וּכְדֵי לִכְנֹס הַתְּבוּאָה בְּכָל מָקוֹם וּמָקוֹם. רַבִּי אֶלְעָזָר אָמַר, כִּנֵּס יוֹסֵף תְּבוּאָה בְּכָל מָקוֹם כְּדֵי שֶׁלֹּא תִרְקַב. After Joseph interpreted Pharaoh’s dream, he was appointed to control over all Egypt. Obviously, God brought him to that position and the Zohar explains that the reasons for Joseph merits concealed in the Torah verses. For keeping his mouth pure Joseph could command others. He was called wise (Genesis 41:39) because his mind had positive thoughts. His hand, his body and neck were all pure and worthy to receive the honor of a king. Joseph ‘went through all the land of Egypt’ in order to have the control over the collection and storage of the cereal grains. Rabbi Elazar explains that the storage was local so the grains won’t rot. Rabbi Ashlag adds that the natural energy of the area protects its crops. Our body represents the Tree of Life (Deuteronomy 20:19, “Man is like a Tree (of Life) in the field (Malchut)”, Genesis 1:27 “In the image of God he created him (Man, Adam)”= Tree of Life). When the body is pure then we can channel the light that flows through the Tree of Life. Watch video below about Tikun Hanefesh and our body as image of the Tree of Life. 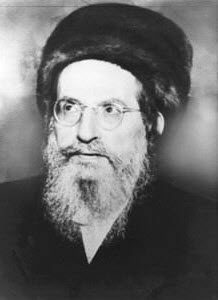 Rabbi Shimon was in a cave for 13 years and when he came out his physical body was weak,wounded and sore but his spiritual body was pure to a point that he could command heaven and earth like a king. One more important lesson is the effect of the energy that the local environment on us. Joseph chose to store the crops locally for a good reason. We see people in different regions in the world, share similar body features, like skin color, eyes, nose, height etc. What less obvious is that the body is also affected internally by the food we eat. It’s always better to eat locally grown food and especially seasonal produce. They grow under the the same energy of the season that we live in and can bring positive effect on us. It’s even better to eat food made at home rather than preserved food made in far away countries. Their energy may not match ours and we should avoid that. People that migrate from one region of the world to another should pay close attention to their food and allow gradual adjustments to avoid weight change and shift in body energy that could bring sickness and diseases.